Intensely nourishing, soothing and the best remedy for those first sunbathing days when we stay out too long, or we underestimate the sun's power, and our skins turn red. The high Aloe Vera content cools sunburns and starts the healing process. It is practically a first-aid necessity. This product comes in a really pretty metal tin with screw-on cap, which gives it a vintage look. The butter is whitish when solid and clear when it melts into the skin. In the summer, it helps to keep it in a cool place because, in warm ambient temperatures, the formula will turn into a thick oil and be a little trickier to use. In any case, a little is all that's needed. I use it on my hands before going to sleep. It's a superb skin softener and it repairs any cuts or nicks I may have picked up from too close encounters with my roses. 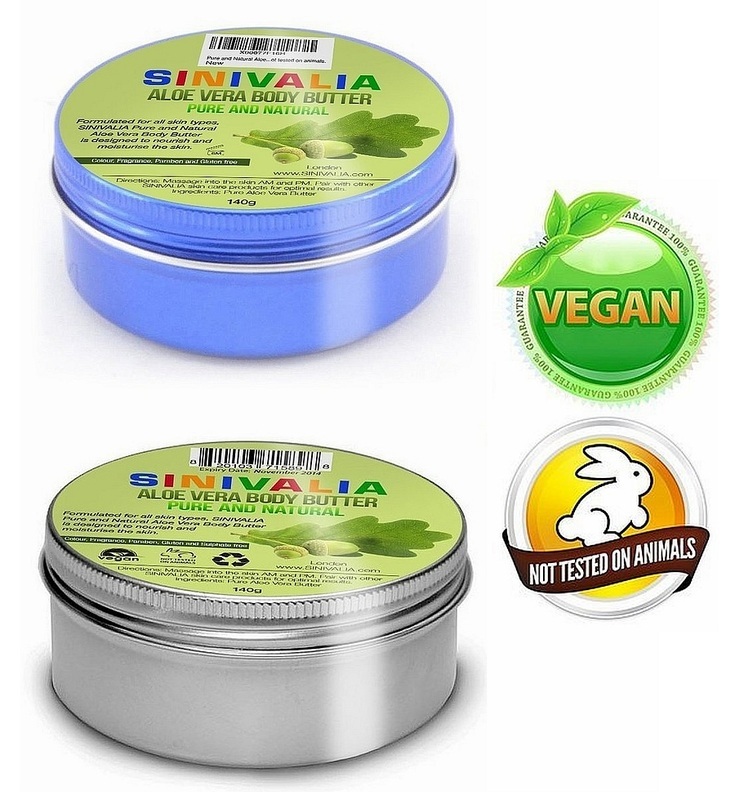 As with all Sinivalia products, the tin is a generous size and will last a long time. I have combination skin with a tendency to break out so a face oil was the last thing I would have chosen. However, having used this product for a couple of weeks, I am now rethinking all my preconceived notions about skin care. This is an oil, yes, but so light and penetrating that it just about disappears into my skin. It makes a perfect base for the light tinted primer I use these days and it seems to keep the skin around my eyes more relaxed. I think I am starting to see an improvement in the lines around my mouth, as well, which have so far resisted all manners of serums and specialist products. The scent is delicious and a quick look at the ingredients gives a hint: hazelnut oil, watermelon, jojoba, cypress, grapefruit, rose geranium, coriander. It's practically a fruit salad! The predominant notes my nose picks up are the rose geranium and grapefruit and I just love to open the bottle and sniff. I have been using this as a daytime moisturizer (alternating with the Watermelon Healing Oil) while, at night, I layer it with the Seaweed Cream from the same range. No sign of my skin breaking out, instead I have noticed a lightening of some sun-related stains over my cheeks. 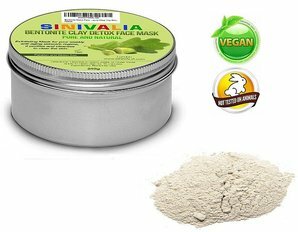 As I am using other Sinivalia products at the same time, it is difficult to know what each one is doing specifically. I would just say that, in combination, they are the best range of skin care I have found to date and I certainly don't plan on returning to the heavy, chemical-laden big-name creams of the past. Since I started using Sinivalia skin care products, I have changed my mind often as to which one is my favourite. This dual/action face refresher is probably the one I love the most. I am crazy about roses and anything made from essential rose oils and extracts. I make my own rose jam and eat fresh rose petals with my salads. I grow many antique roses including the Damasks Kazanlik and Ispahan, which are traditionally cultivated in Bulgaria for the cosmetic industry. Rosa Damascena Trigintipetala (Kazanlik) is still the primary source of rose fragrance for commercial preparations and it is interesting to note that well over a million blooms (or 3 tonnes of petals) are necessary to distil 1 kg of pure Attar. Summer Damasks have one short annual flowering season, and stringent conditions have to be met to hand-pick and process the petals at their peak, so I am always grateful for, and appreciative of, the precious final product, the way I am of honey. Having used several rose-based face creams lately, I am well attuned to quality and purity. Many cosmetics use inferior grade Rose Absolute (extracted using chemical solvents), or even synthetic rose preparations. Once you have sniffed real Attar of Rose, even in diluted form, you will notice the difference. This gorgeous liquid smells to me like the real thing and I love using it. I had just about eliminated toners from my skin care routine as they all seemed to not just dry out my skin's surface, but also make it fragile and irritate it. 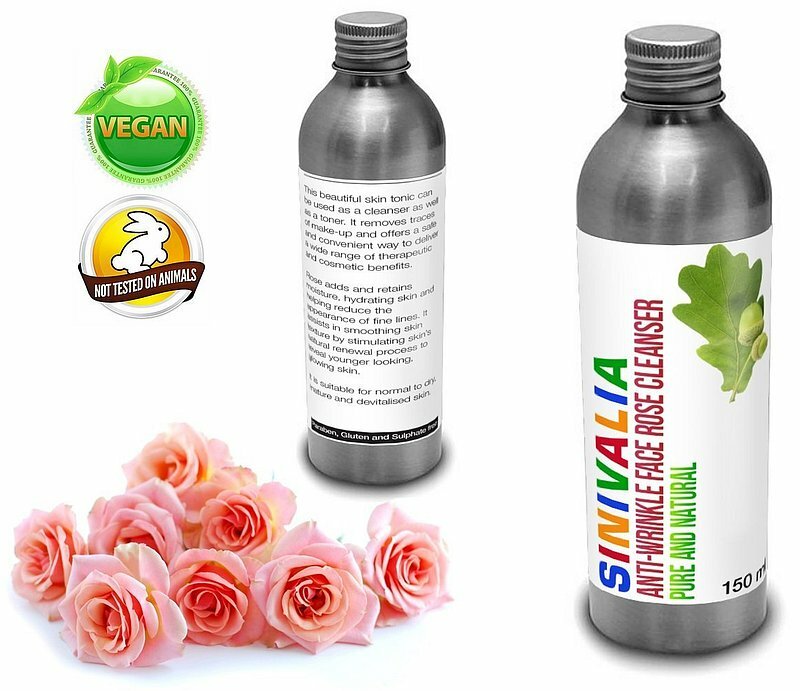 With this Rose Cleanser I can hydrate my face as well as clean it effectively (if you want proof, wash your face with your favourite preparation and then wipe it with some Sinivalia Rose Cleanser and observe the residue on your cotton wad). Because it makes my skin softer, instead of attacking the surface, I also use this toner to remove whatever excess is left after applying the other face oils of the same range and I get the added bonus of gently closing up my pores. My husband has tried it after shaving and the subtle rose scent seems to react well with his body chemistry, turning into a fresh, unsweet, elusive base note. I have to admit: I take care of my face and skin in general, but don't really have the time or inclination to fuss with face masks. Mostly because they don't seem to do much. This product, however, is different and now I actually look forward to mixing the powder once a week before I jump in the shower. The tin is generous, as I only need a scant teaspoon. You can mix it with warm water or (as I prefer) with rose water or the luxurious Rose Cleanser from the same range. A ratio of 3:1 liquid volume to powder seems to work for me (I use a small fork to get rid of the lumps). I have experimented with a brush but it's really not needed. After 15 minutes, the mixture is dry and set and ready to be washed off (a face cloth helps here). My face emerges both relaxed and tighter, which is an unusual combination but very pleasing. It's terrific for closing skin pores and there is a very refreshing tingle. I like to put the Seaweed Cream on after the mask as my skin really feels taut. It's early days yet, but I'm really pleased with the other Sinivalia products I have tried. They work beautifully together, and because they are not full of chemicals and colourings, you can get creative mixing and layering them. As a general comment on the whole line, I am delighted that they are not tested on animals. This oil is a powerhouse of nutrition for my skin. I generally don't use sunscreen products very often, mostly because a quick look at the ingredients puts me off. When I start to see crocodile-like patterns on my legs, I slather on body lotion but, by then, it's usually too late. 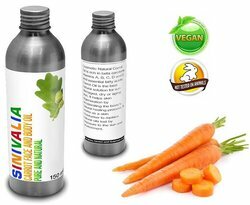 This oil is very different and what I like best about it is the effectiveness after a really light application. 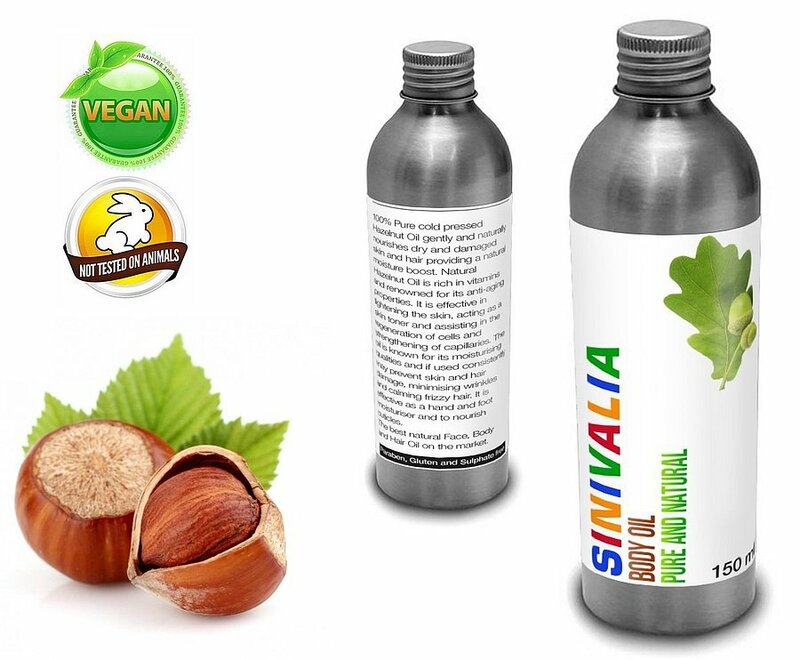 As I have noticed with all the Sinivalia oils, it sinks in surprisingly quickly without leaving much of a residue. It is definitely tinted, a bright orange as one would expect, which makes it easy to see where your last stroke ended and where you need to go next. It seems to work equally well as a pre-tan lotion and a post-sunbathing repair. Just remember to wait a few minutes before getting dressed and don't over-apply. Better still, wipe off the excess, or it will show up on your clothing. 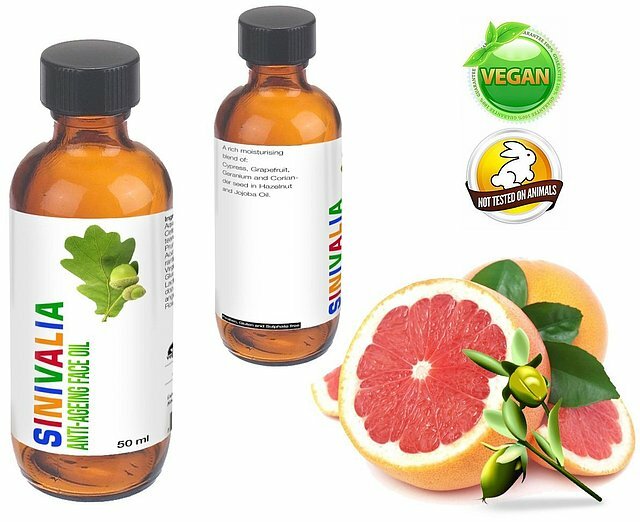 Also very good as a hair conditioning treatment; again a little goes a long way, so I have found that upturning the bottle over my palm a few times gives me all I need for a light application. I then wait for an hour or two and shampoo. Because it is so concentrated, the beautiful, generously-sized metal bottle will last a long time. Cut from the same cloth as the Rose Cleanser, this sinfully luxurious body lotion has a fragrance I adore. The texture is fabulous, creamy and silky but very easily absorbed. I love the subtle sheen it gives my skin, perfect for the summer when bare legs and arms are on display. It's difficult to find a body moisturizer that both feeds your skin and disappears without leaving an oily appearance, so I am delighted to have discovered this formulation which has now become a regular part of my after-shower routine. However, on top of all that, the outstanding quality for me is how great it smells. Both Rosewood and Lavender essential oils are mood enhancers with relaxing and balancing properties, so that might explain why I feel great after applying the lotion while the aromatic top notes are still strong. I use Lavender oil on my wrists at bedtime to relax and facilitate sleep, so this scent is already a favourite of mine. Combined with the beautiful, warm counterpoint of Coconut Oil, the sharper fruitiness of Apricot and, of course, the woody but floral Rosewood scent, the natural Lavender essence makes this lotion a delight for the nose, as well as a seriously pampering treatment for your skin. The clean, natural aromas make it very suitable for male skin, too, since the different body chemistry alters the final effect. 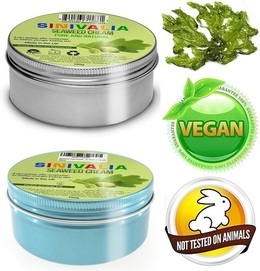 Unlike other Sinivalia products which are packaged in charming metal bottles and tins, this lotion comes in a practical, squeezable, soft plastic bottle. Given the unique texture of the lotion, I appreciate this thoughtful difference. This is such a useful product I use it practically every day somewhere on my person. I tried it first as an after-shower body moisturizer. It left my arms and legs pleasantly soft and seemed to soak in completely so that I could dress over it without having to wipe away any residue. I use a little more over my shoulders and chest where the sun really parches my skin. Similarly good. Since my face has combination skin and has recently become very prone to allergies, I had reservations about putting a straight oil on my face, but this product is extra gentle and sinks in quickly and, after a bit, I just remove the visible excess with a tissue or a little Rose Cleanser (I have stopped using other toners since discovering the Sinivalia Toner/Cleanser as it is the only one I tried that does not dry my skin out). So far this oil is smoothing out the wrinkles around my eyes and I think it's started to do something for the ones around my mouth, which lately have become a real problem. But the best use I have found for this light, penetrating oil is as a carrier for other essential oils, which I like to mix as the fancy takes me. I had tried all kinds of stuff before, from baby oil to almond, flaxseed, grape, or coconut oil, but the trick is to find a pure product and on reading the labels, many nasty chemicals were present. I find this Hazelnut Oil to work best for me as it is lubricating enough to allow a moderate massage but not so heavy that it needs to be washed off (which would somewhat defeat the purpose). I add a few drops of peppermint, juniper, fennel and rosemary essential oils to make a circulation-boosting, cellulite-fighting mix (I avoid citrus oils as they can make your skin blotchy in the sun). You can customize the ingredients to suit your purpose but the carrier oil is just as important as the active ones. So I am delighted to have found something I can use without worrying about chemicals. The lack of a dropper does not bother me. I invert the bottle over the palm of my hand a few times and have what I need for a light application to moisturize, or use a bit more for the massage. The thing is you really don't need very much, so it is also very cost-effective and the bottle is quite large. This silky, penetrating oil has so many applications, it's easy to reach for it as a panacea for whatever ails you. It is so light that it works extremely well as a face moisturizer, soothing minor irritations and cosseting my skin where other creams have produced allergic reactions. Lately my skin has become more fragile and, while it needs constant nourishment, it is also more difficult to please. The maker states that it is suitable for baby skin, and I would agree that it certainly is a very mild formulation. The high vitamin content seems to work wonders on the delicate skin of my neck and chest, where sun spots are starting to fade as a result of using this product exclusively now for almost three weeks. I am delighted with it! 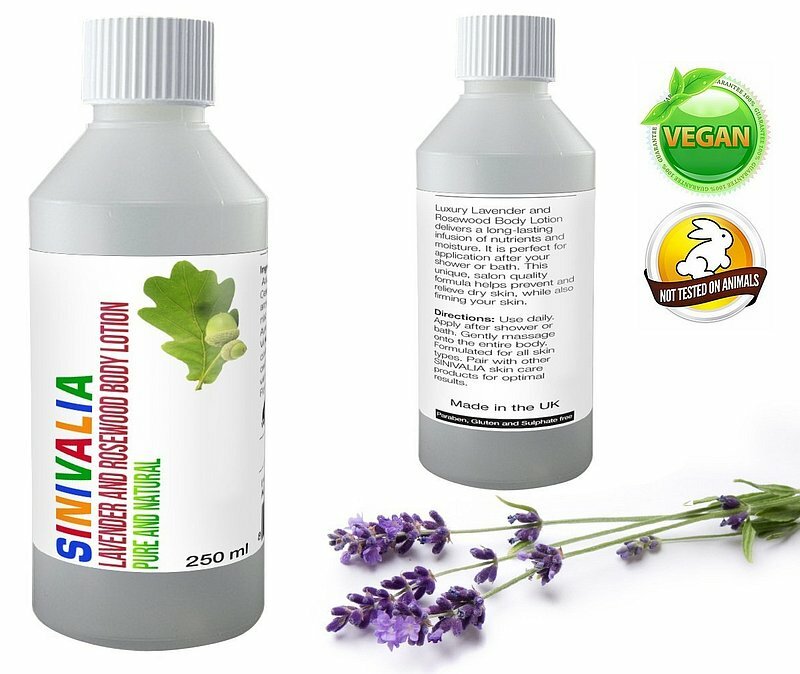 As a hair conditioning pack, it works best for me when I put a small amount on my scalp, massaging all over the hair strands and washing it off after an hour, much as I do with the Carrot Oil, also by Sinivalia. I swim regularly and chlorine damage is difficult to treat as it alters the colour of my hair, as well as making it dull and dry. My latest “hair mask” product left my hair flat and heavy, less dry but at the expense of lightness and shine. So I am delighted to have found two new products I can use to address the damage without ending up with greasy hair. I really like the pretty metal bottles and tins used by Sinivalia. 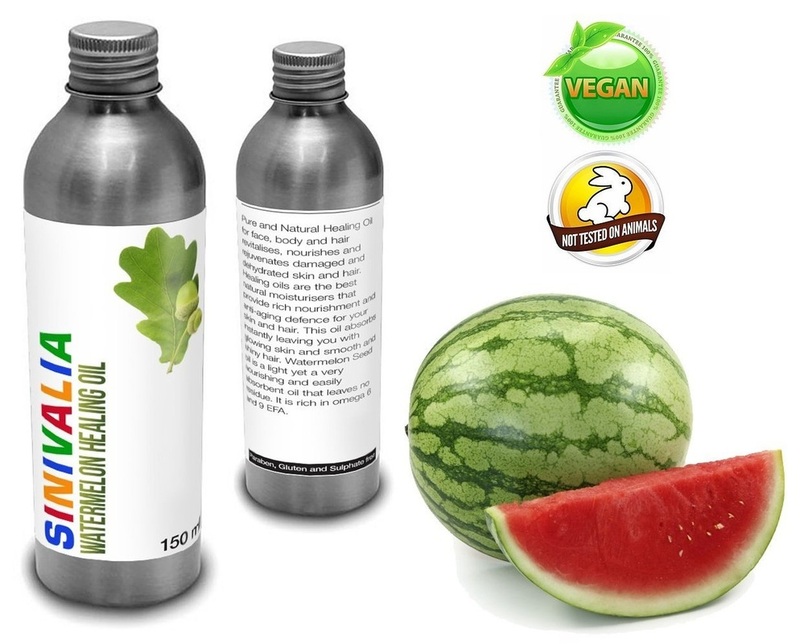 They effectively protect the natural ingredients inside from light damage and keep the product fresh longer. They are a lot safer than glass on tiled floors; if dropped, they would simply dent instead of shattering. They also look incredibly pretty on my make-up table! I have just recently discovered this new skincare line and am very pleased with the results I am getting after just ten days of use. This face cream has everything I love: glorious, silky texture, fast absorption rate, the lightest, freshest scent, no sign of my skin breaking out, perfectly suitable for male skin and very young skin, made from entirely natural ingredients, and NOT tested on animals. After turning 61, something drastic was happening to my skin, despite a lifetime of daily care. The increasingly thick anti-age creams I was applying seemed to just sit heavily on the surface while deep lines were consolidating into definite wrinkles, especially after sunbathing. Since starting to use these light oils and the seaweed cream in combination, my face seems a lot more relaxed and the lines are less set. I also noticed a slight lightening of some fairly extensive sun-related discolouration on my cheeks. Whether I'm imagining it or not, it's a pleasant change that I was not expecting. I'm looking forward to updating this review in a few weeks' time but, for now, I am really excited about the change in my skin. Also the tin is very large (120 g), which is more than double compared to my last face cream. At this rate, it will last a very long time. If your skin is on the oily side, let the cream sink in and lightly remove the excess with the Rose Cleanser from the same Sinivalia range. It's more than luxurious!